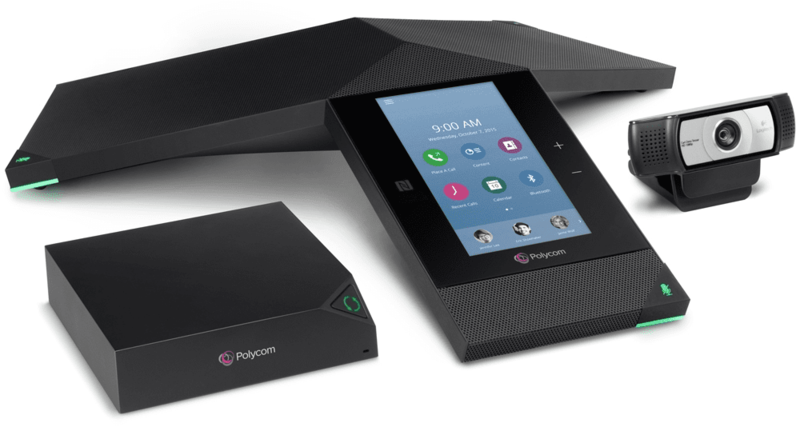 The Polycom RealPresence Trio 8800 is the conference phone reimagined. It offers the industry's most advanced sound quality making every conversation, every spoken word just that much clearer. The RealPresence Trio 8800 marries Polycom's legendary voice quality with the additional capabilities of personal content sharing and business-class videoconferencing. It can be flexibly deployed anywhere, from huddle rooms to boardrooms. The Polycom RealPresence Trio 8800 Collaboration Kit includes the RealPresence Trio 8800 conference phone, the RealPresence Trio Visual+ for enabling content presentation and video, and the Logitech WebCam C390e.